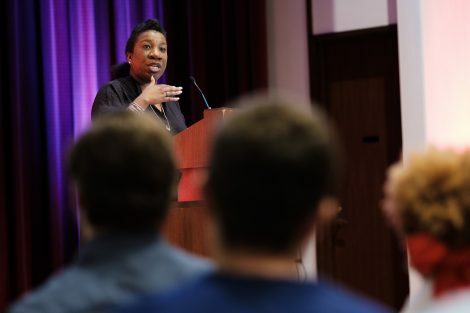 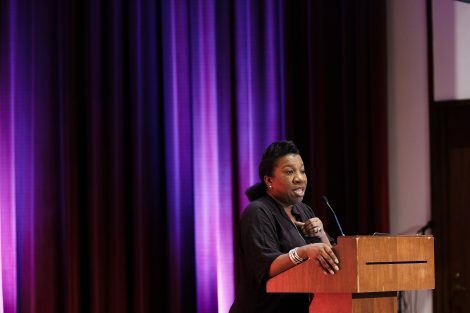 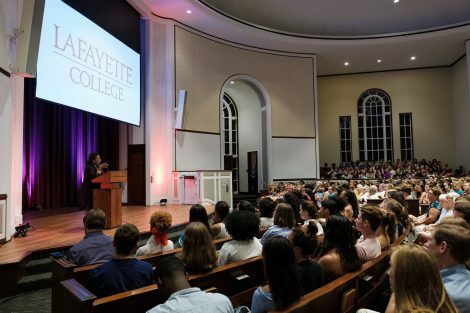 Civil rights activist Tarana Burke, founder of the Me Too movement, delivered a powerful speech to a packed house in Colton Chapel on Sept. 5. Burke first used the phrase “me too” in 2006 as part of a grassroots campaign to support survivors of sexual violence. In 2017, following accusations against Hollywood producer Harvey Weinstein, the phrase became a global phenomenon. 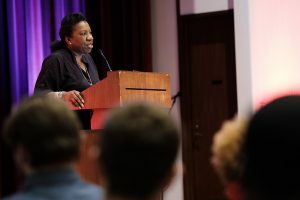 It gave voice to those who had suffered silently and sent a message to survivors that they were not alone. In a heartfelt speech that generated laughs, cheers, and some tears, Burke shared the history of the movement and her hopes for its future. Here are a few of the inspirational messages she shared during the event, which was sponsored by Lafayette Activities Forum, Pards Against Sexual Assault, and Nia (multicultural women’s support group). Thank you Lafayette for hosting. 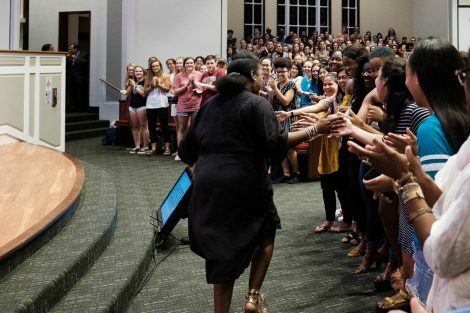 How many men were in the audience?